Universal Sports Network is hooking you up with a special FREE trial this summer featuring more of the exciting sports you love. It’s more than a week of the best coverage of volleyball, swimming, rugby, and more! It’s the perfect way to watch the summer’s brightest stars compete in the season’s biggest events. It’s available on your TV, computer, tablet, or phone, and it’s only from Universal Sports Network. So don’t miss your USN FREE trial, from August 6-15 on Ch. 625! 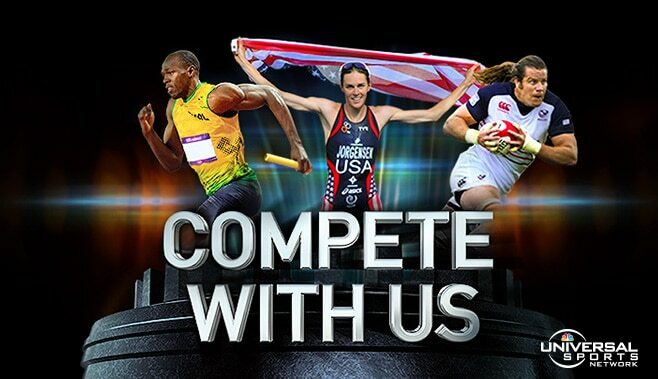 Or, if you want a chance to watch more popular athletes compete in more than 40 sports and 25 championship events all year long, add this channel to your package now. Will direct tv have World Cup rugby showing on September 19th? Lisa, yes they will. We should have an article up about that later today. Check back tonight!